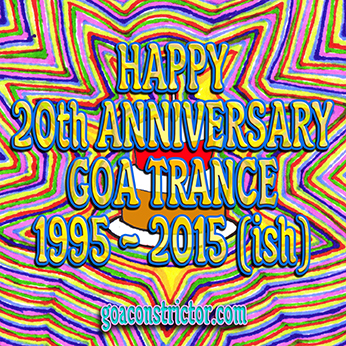 Goa has always had a playful history with the fall equinox. Aliens, ghosts, carnivals, monsters, things that creak in the night; goa likes to trip you up in the future forest. I hope you’ve enjoyed going on this journey with me throughout this past year as it has been a fun story to weave together. Even though there isn’t a fifth season, there is one more piece to the puzzle and that’ll be coming soon. So, as they say, stay tuned. This entry was posted in MiXeS and tagged Disco Slickers, ECT, Eiji, Hallucinogen, Infected Deedrah, Jikooha, Planet B.E.N., Planet BEN, Rip Van Hippy, Semsis, Shiwa 2000, Slinky Wizard, Vibrasphere, Wizzy Noise by admin. Bookmark the permalink.